The necessary interventions in research and education: the EQUAL-IST project and the Digital Girls summer camp. The Workshop “Does Industry 4.0 have a gender?” organized within the annual event R2B – Research to Business 2017 in Bologna, during the 8th and 9th of June 2017, focused on the gender dimension in education and research, and the future impact of the current situation on the future Industry 4.0. 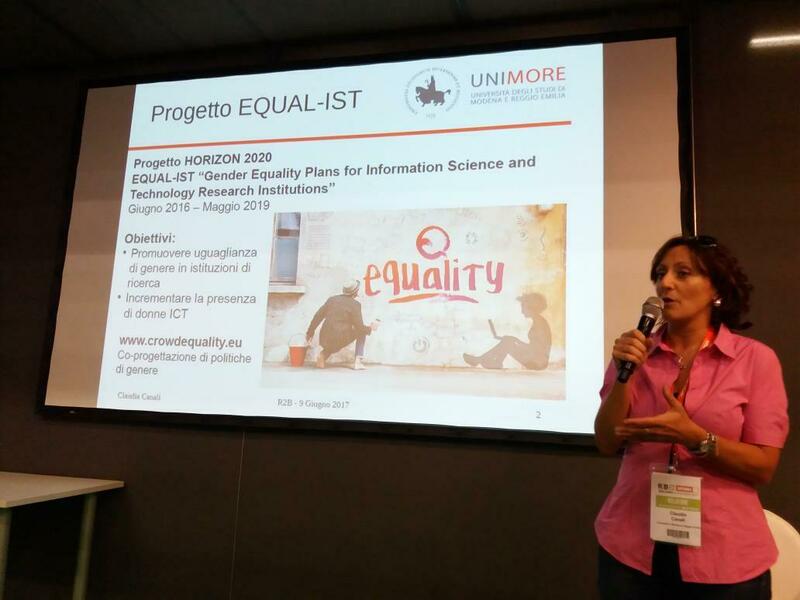 It was a great opportunity to present the EQUAL-IST project and the results obtained so far in terms of internal gender audit, highlighting the adopted participatory methodological approach and describing the next steps of the project. The audience included decision makers at the local and regional level in the field of education in ICT. More information about the presentation can be found here.